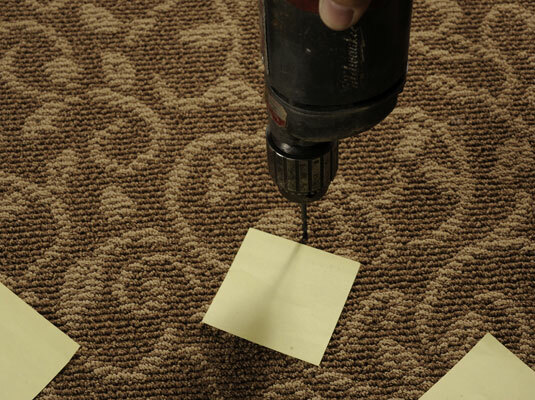 Gather your materials: Hammer, sticky notes or masking tape, drill, carpet repair kit. 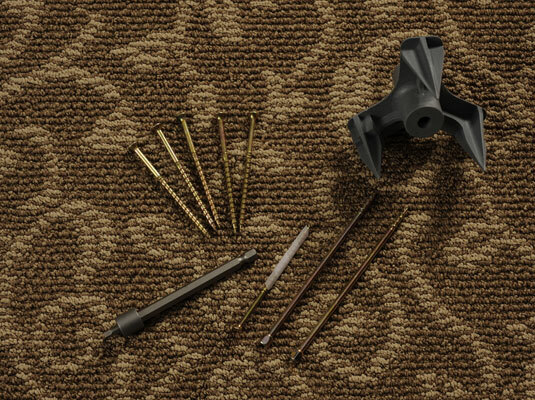 A carpet repair kit contains an alignment and depth control device and snap off screws, which break off below the carpet. Have a helper walk across the floor looking for squeaks. You can locate the squeak yourself, but having a helper is more efficient. 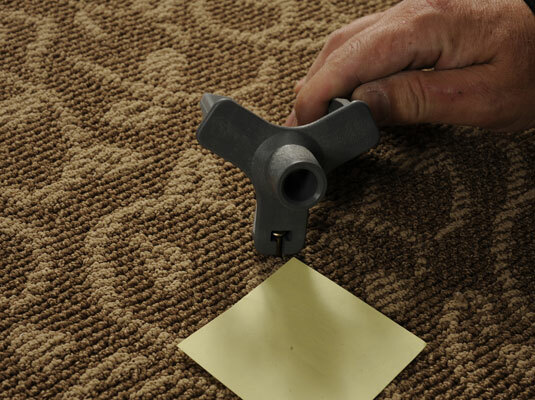 Mark the squeaky area with a small piece of sticky note or masking tape. Don’t stop with just one spot. There are usually several squeaks within a 4 x 6 area. Locate the floor joist by tapping the floor with a rubber mallet or a hammer. Listen for the dull thud indicating the floor joist. Drill a hole in the area you think has a floor joist. If the drill bit sticks you’ve hit the joist. If it slides right through, try again another inch over. Locate the joist on either side of the squeaky area. To get rid of the squeaks you’ll need to secure the entire area. Floor joists should be located 16 inches from each other. Push an alignment and depth control device into the carpet over an effected floor joist. 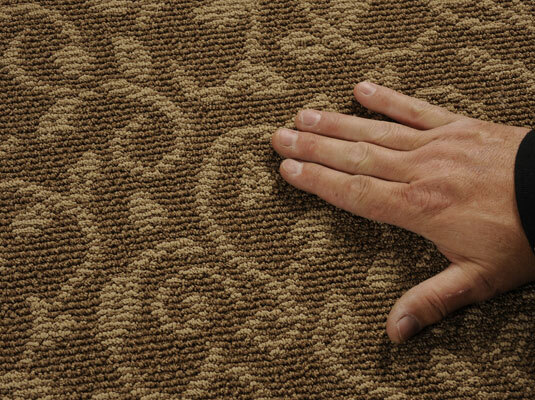 Push the three-pronged device into the carpet over the squeaky spot. Drive the screw through the device until it reaches the stop guard. Use your screwdriver to drive the screw through the hole in the device. It has a stop guard to tell you where to let you know when to stop. 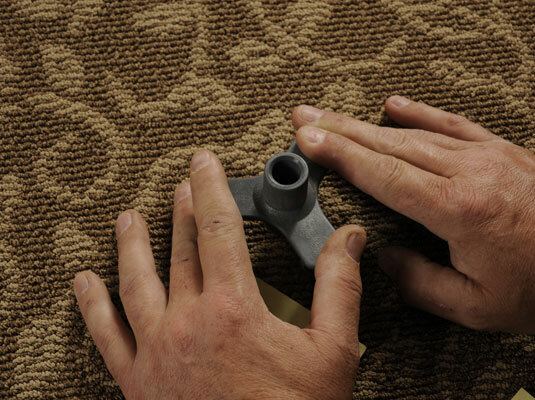 The screw will stick up above the height of the carpet. Remove the device from the floor and slide the slotted edge over the head of the screw. Pick up the alignment and depth control device and turn it on its side. Slide the slotted end over the head of the screw. 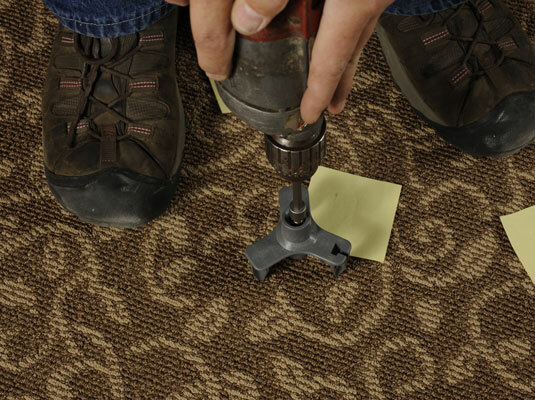 Tilt the device down toward the floor with a snapping motion to break off the head of the screw. Snap the device toward the floor with a sideways motion. 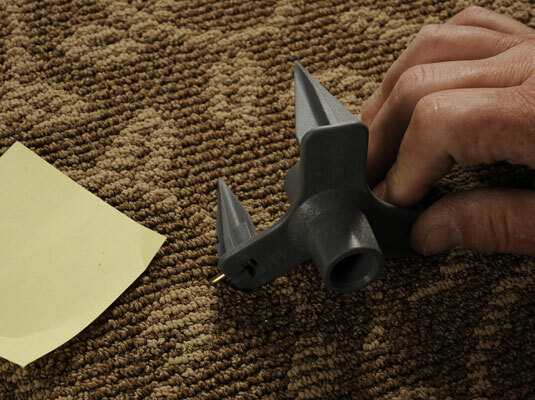 The specially designed screw will snap below the level of the carpet. Discard the screw head. Repeat this process every 12 inches down the floor joists on either side of the squeak. Continue the process down each of the floor joist. 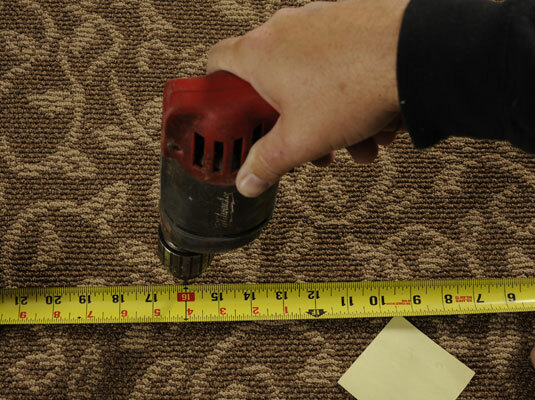 Be sure to work an area a couple feet wider and longer than the squeaks. When you finish, the squeaks will be gone and there will be no sign of all those screws.